Hi! I'm Mimi Wang. Certified Harmony Road Teacher. to develop skills and a deep appreciation for music. stories, puppets, and movement activities. 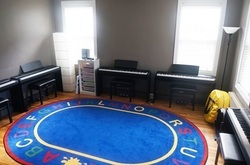 ♪ Certified Harmony Road Music Instructor.